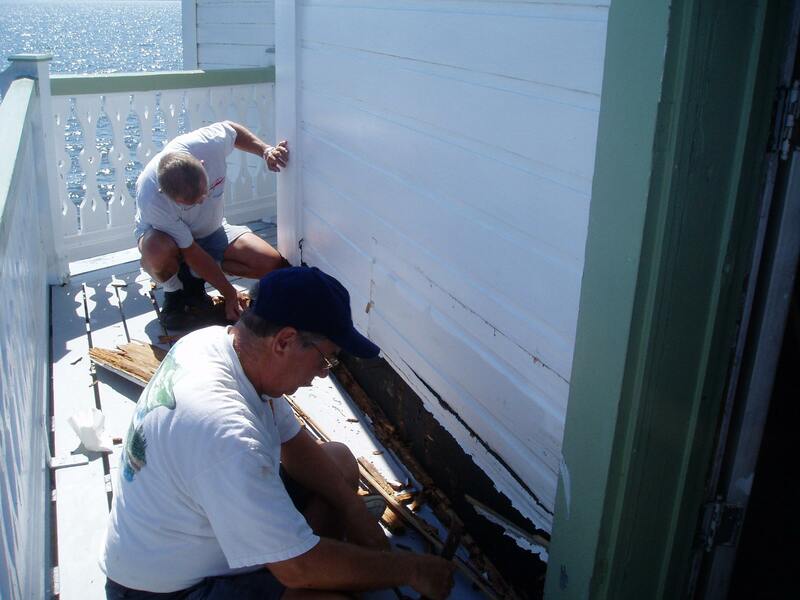 Chapter volunteers returned to Thomas Point Shoal Lighthouse to continue their preservation efforts. Sound like fun? 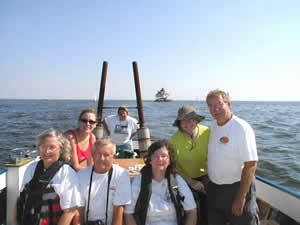 The Chapter's next workday at Thomas Point Shoal is scheduled for October 28, 2006. To learn more about the Chapter's Volunteer Program, visit the Volunteer page on this site. For A Larger View. 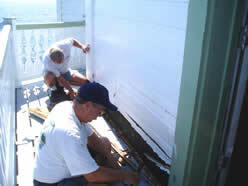 Volunteers Hobie and Ray replace siding. For A Larger View. 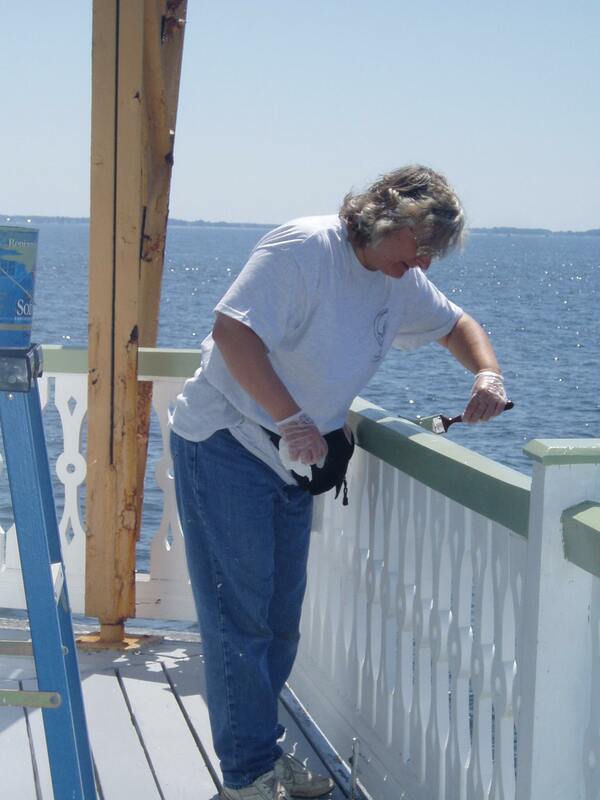 Volunteer Paula puts a second coat of paint on railing. For A Larger View. 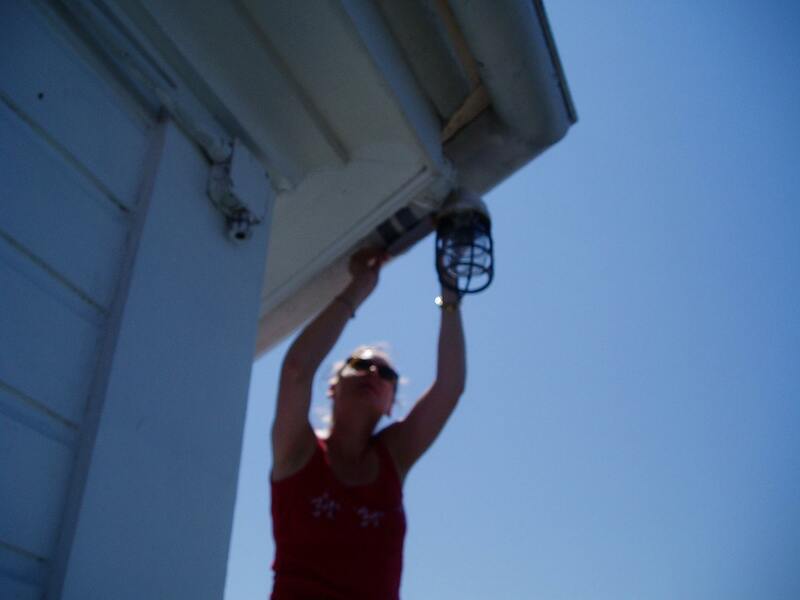 Volunteer Cathy patches the gutter. For A Larger View. 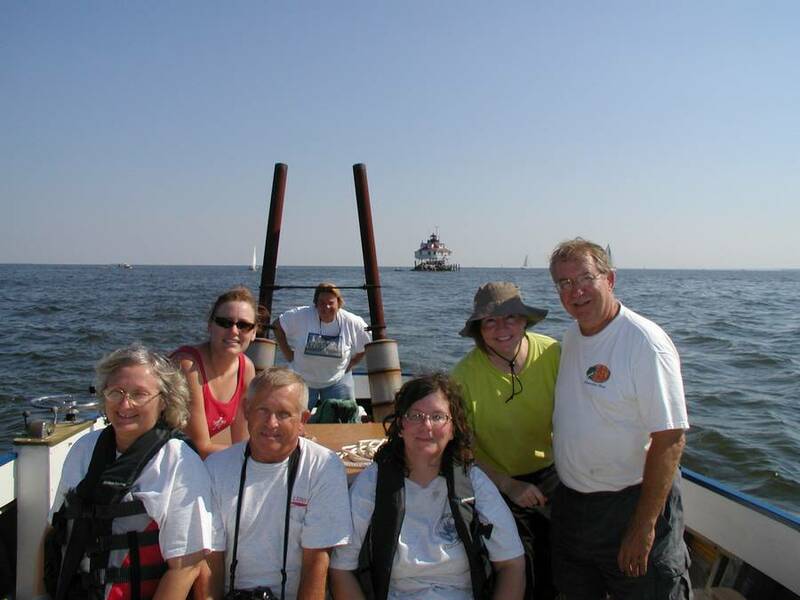 The Volunteer Crew returning from a full workday at the light.